People often use the term “Disney Magic,” and when I saw this egg in my lunch at Tokyo Disneyland, I knew the only way to get a Mickey Mouse-shaped egg yolk was with Disney Magic! Either that or that chicken is just watching way too many Mickey Mouse cartoons! 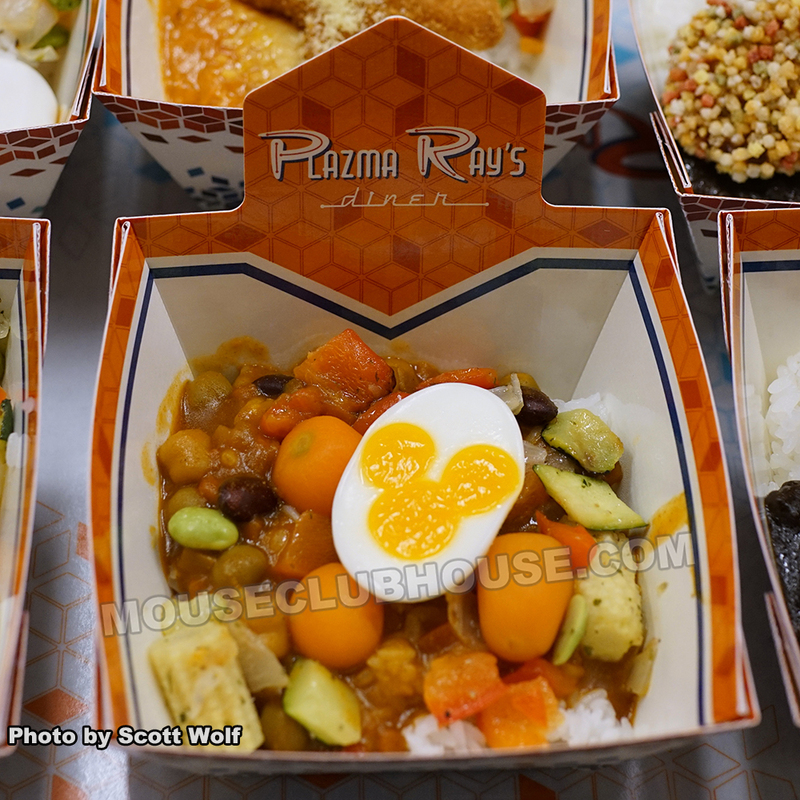 This restaurant, Plazma Ray’s Diner in Tomorrowland, has the storyline of being a successful restaurant with chains not just on Earth, but all over the universe!